Having worked for original British manufacturers of computers: Elliott Brothers, Ferranti, ICL, and Computer Technology, Paul Walker joined Inmos, where he championed the communication links of the Transputer. He founded 4Links in 1993 to promote the link technology, and established a market in the space industry. He is grateful to his colleagues and to the many customers and suppliers of 4Links. He hopes that he is worthy of ESA’s citation of ‘The Grandfather of SpaceWire’. 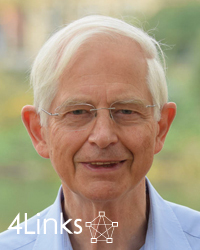 Before joining 4Links Spencer previously worked at ARM initially developing IP, then managing the development platforms group for prototyping and validation and finally directing their hardware acceleration capabilities for IP validation. He then moved to Mentor Graphics to architect and managing their new FPGA prototyping hardware development. This has given him the skills to take a concept, create a business case, extract requirements, then manage the engineering and operations teams to put it into production. 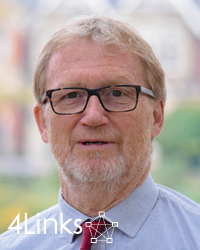 Dennis Gross joined 4Links in June 2013 bringing with him over 30 years of Sales and Marketing experience in the Space, Aerospace, Defence and Video Broadcasting Industries. Dennis’ knowledge and understanding of worldwide Space Companies brings and supports new strategies and growth for 4Links. Over the 30 years Dennis has worked for Raytheon, Austin Semiconductor, Plessey and LOGIC Devices. Roger Peel has a background in distributed computer architectures and concurrency. 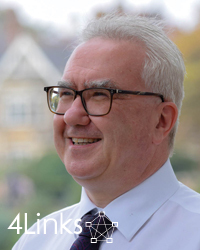 His deep understanding of SpaceWire networks enables him to develop and support the 4Links range of test equipment. Roger contributed his hardware and software expertise to ESA's N-MaSS research project on Fault Detection, Isolation and Recovery for SpaceWire. Roger has attended the ESA SpaceWire Working Group meetings for several years, and sits on the committee that defined SpaceWire 12C Revision 1.